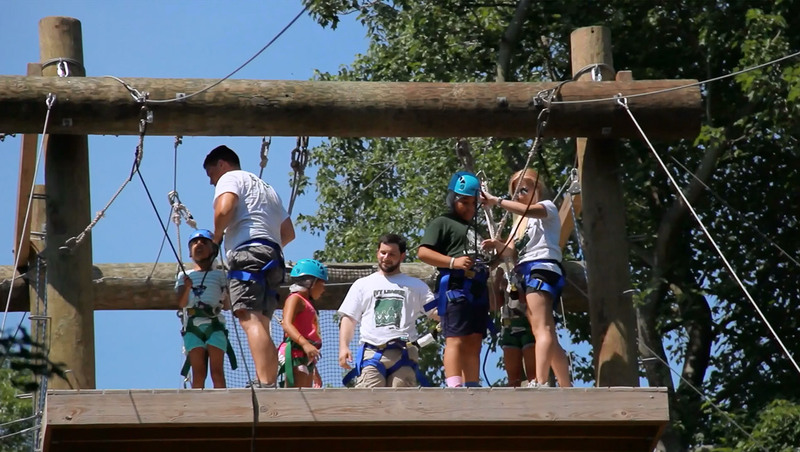 It is with great pride and excitement that Ivy League remains Long Island’s premier summer day camp for over fifty years. Established in 1961, Ivy League is known for its variety of programs, state-of-the-art facilities and knowledgeable and nurturing staff. On 16 beautiful, shady acres, campers enjoy a full array of age-appropriate athletics, swim, adventure, and creative arts activities. Kids like summer for lots of reasons…the warm weather, the long days, and of course, vacation from school — just to name a few. But what makes kids LOVE summer? What makes it an unforgettable experience that they’ll look back on as a time in their lives like no other? It’s a combination of a blend of people, creativity and fun that Ivy League Day Camp has perfected over the last five decades. It starts with the perfect mix of exciting activities and unique adventures that allow children to realize their potential — no matter their age or current abilities. We then add instructive and creative programs designed to help our campers enjoy a well-rounded camp experience. Finally, we add the most important ingredients — new friends and the opportunity to grow and bond with the Ivy League staff who quickly become your child’s family away from home. 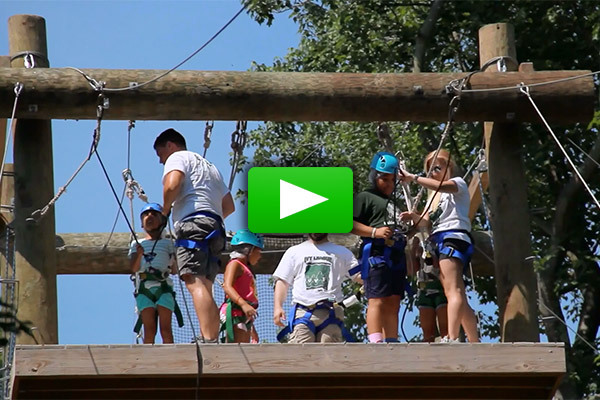 Why kids love Ivy League Day Camp! From toddlers just turning two, to teens ready for travel adventure, and every age in between, our goal is to provide a perfect mix of exciting activities and unique experiences where skill and fun go hand in hand. In all of our programs, your camper will enjoy a fun-filled summer making friends, building self-confidence and creating life long memories. 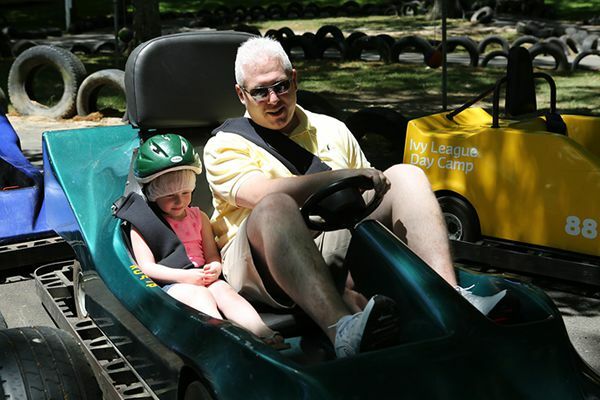 With one of the lowest staff to camper ratios in the country, our staff operates as a family of Division Leaders, specialty instructors, and counselors to create a personal relationship with each child. You can be sure that your camper will be well supervised and make measurable progress in aquatics, athletics, creative arts and social development. Ivy League is accredited by the American Camp Association and always receives its highest ratings for its quality programs, staffing and facilities. Why do parents choose Ivy League? 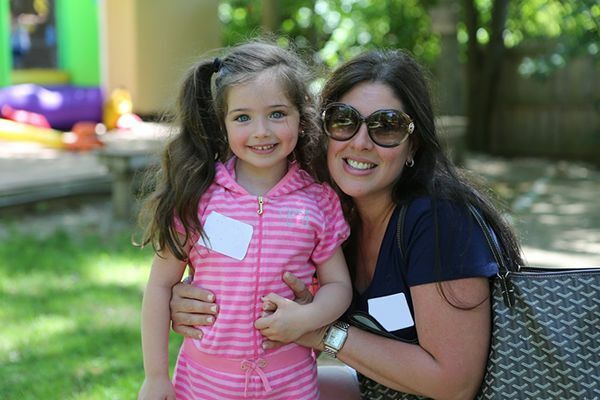 The reasons parents choose Ivy League are as varied as the children who visit us each summer. However, one reason that ranks above most others is the Ivy League Parent Principle: The needs of our campers’ parents are just as important as the needs of their children — we go above and beyond what’s required by getting to know each individual family in order to meet their goals and expectations. In addition, parents rave about Ivy League’s High 5 Program. The goal of the High 5 Program is to inspire 21st Century skills such as confidence, sportsmanship, respect, spirit and friendship as we build tomorrow’s leaders. Age-appropriate facilities and vast array of activities. Accreditation from the American Camp Association that meets and exceeds over 300 of New York State’s basic licensing requirements. Low staff-to-camper ratios — each camper gets the attention they deserve. Easy communication, including daily updates for parents that range from online camp information and happenings, to regular reports and phone calls from Division Leaders. Amazing array of family nights, complete with dinner for all family members, where campers get to share some of the camp experience, new skills and friends. Pre- and post-season parent surveys that allow us to keep a pulse on how we’re doing and what we can do to improve the Ivy League experience.